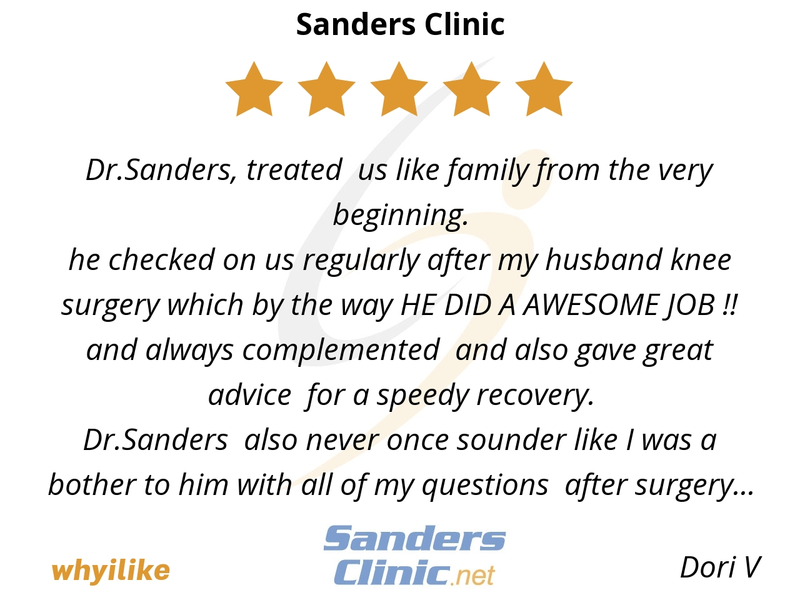 Dr.Sanders, treated us like family from the very beginning. he checked on us regularly after my husband knee surgery which by the way HE DID A AWESOME JOB !! and always complemented and also gave great advice for a speedy recovery. Dr.Sanders also never once sounder like I was a bother to him with all of my questions after surgery and always gave encouragement to me! 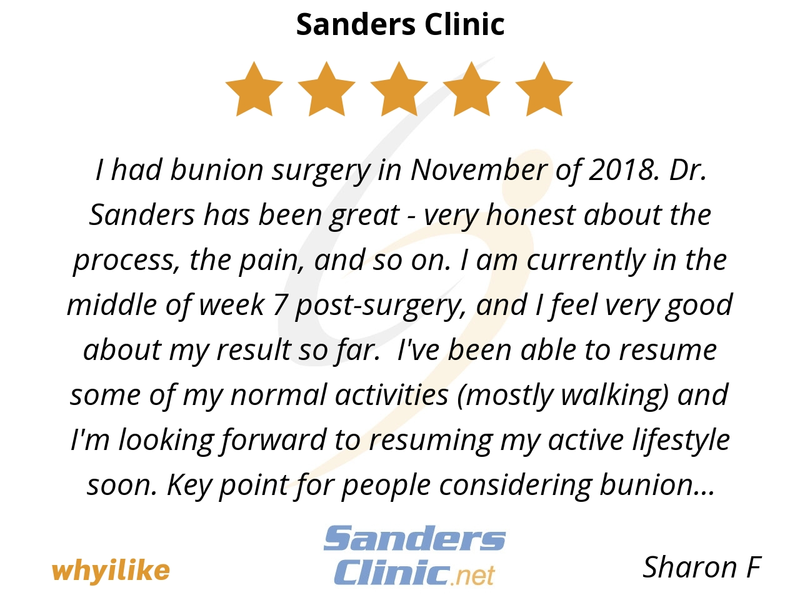 I had bunion surgery in November of 2018. 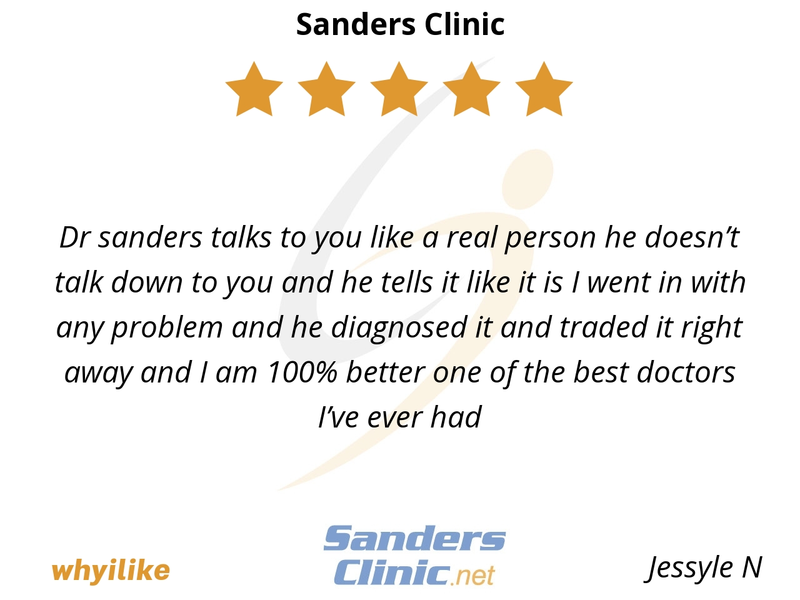 Dr. Sanders has been great - very honest about the process, the pain, and so on. I am currently in the middle of week 7 post-surgery, and I feel very good about my result so far. I've been able to resume some of my normal activities (mostly walking) and I'm looking forward to resuming my active lifestyle soon. Key point for people considering bunion surgery: be prepared to take it easy for a few weeks. It will be difficult if you are like me, but it will be extremely worthwhile for your long term result. Also, you will read many different points of view on the internet. Most of them are very negative (regarding pain) and mobility (sometimes too optimistic). This is not a surgery to be taken lightly and that is why your choice of orthopedic surgeon is so important. 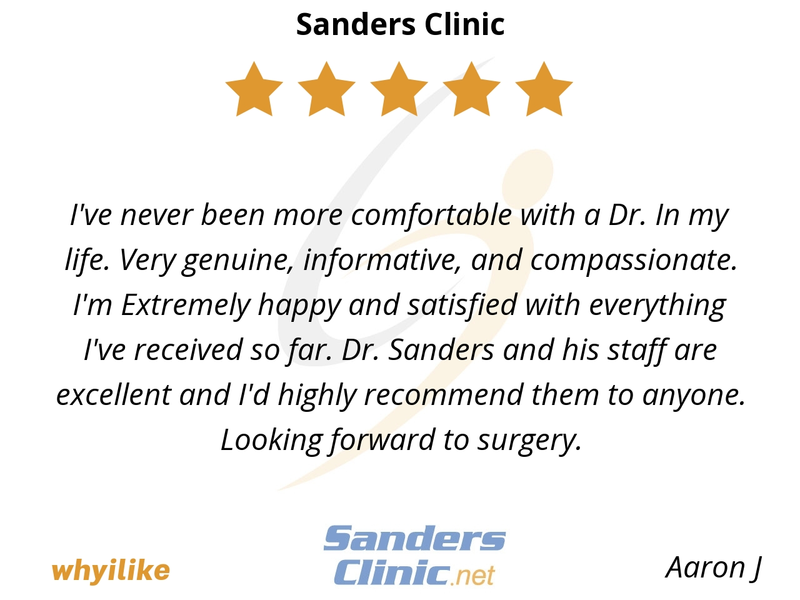 Dr. Sanders has been attentive and responsive. Be careful about surgeons that say you can walk out of surgery. Your foot will be numb...so really. I admit it has been very difficult to comply with the post-op requirements (immobility and so on) but I've been compliant and I'm very happy with my result so far. My main recommendations: pick a good doctor; listen to your doctor; communicate frequently with your doctor. Get a knee scooter - this will work great until you can put weight on your foot. 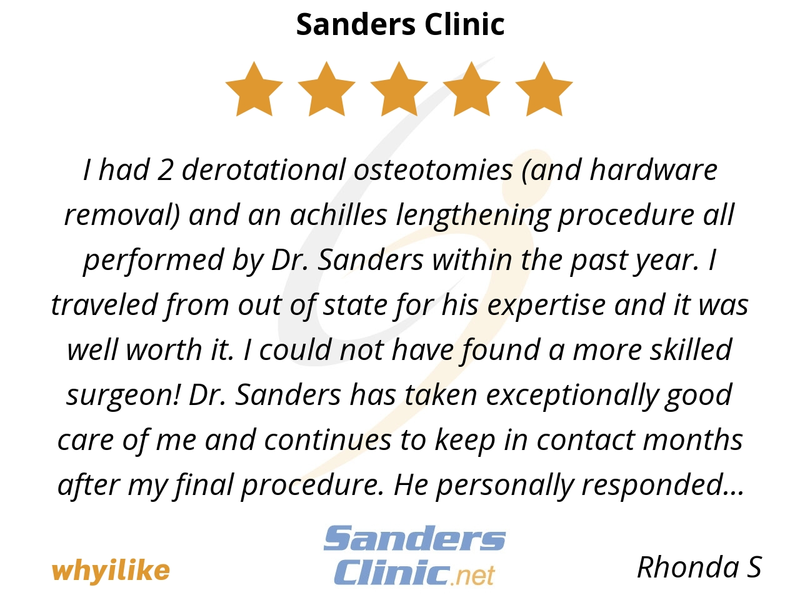 I had 2 derotational osteotomies (and hardware removal) and an achilles lengthening procedure all performed by Dr. Sanders within the past year. I traveled from out of state for his expertise and it was well worth it. I could not have found a more skilled surgeon! 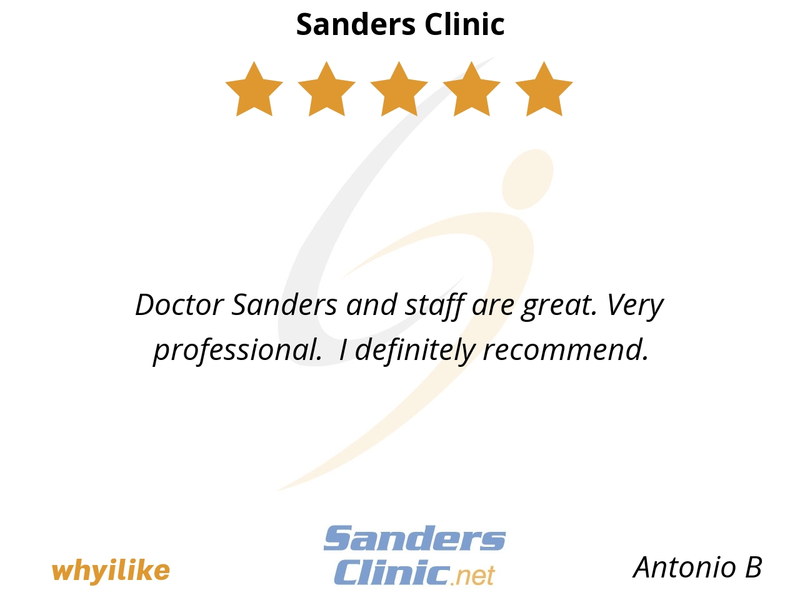 Dr. Sanders has taken exceptionally good care of me and continues to keep in contact months after my final procedure. He personally responded quickly to every question and worry that I had. He is upfront and direct about expectations and options. He always respected me and my opinions in my care which I greatly appreciate. He is eager to cooperate with local doctors to ensure continuity of care. He is a caring doctor who I also regard as a friend. Also, the staff worked very efficiently to arrange all of my appointments and tests that were necessary. My family and I appreciate all that this clinic has done for me and my quality of life in the future. 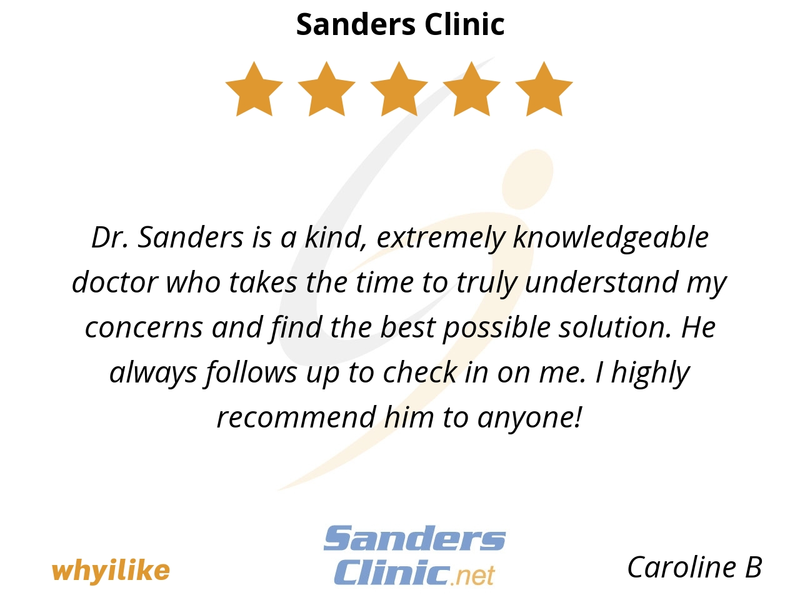 Dr. Sanders is a kind, extremely knowledgeable doctor who takes the time to truly understand my concerns and find the best possible solution. He always follows up to check in on me. I highly recommend him to anyone! 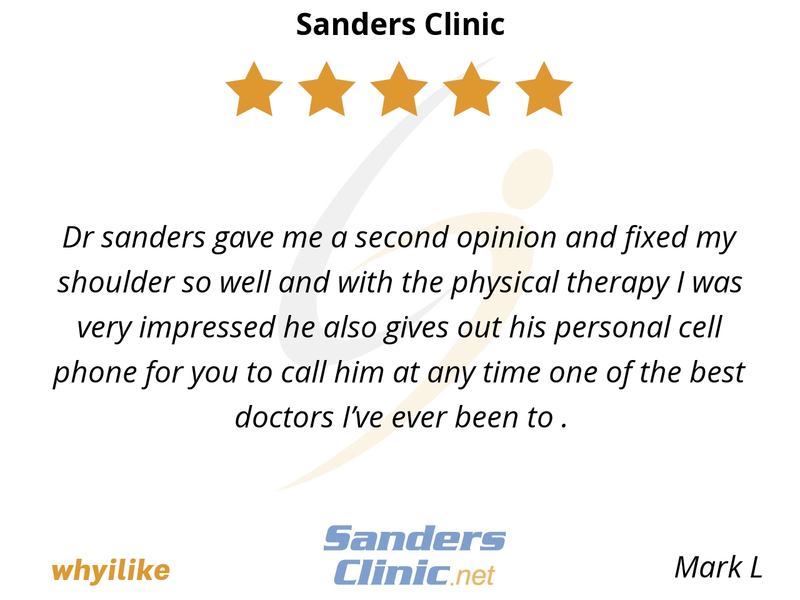 Dr sanders gave me a second opinion and fixed my shoulder so well and with the physical therapy I was very impressed he also gives out his personal cell phone for you to call him at any time one of the best doctors I’ve ever been to . I've never been more comfortable with a Dr. In my life. Very genuine, informative, and compassionate. I'm Extremely happy and satisfied with everything I've received so far. 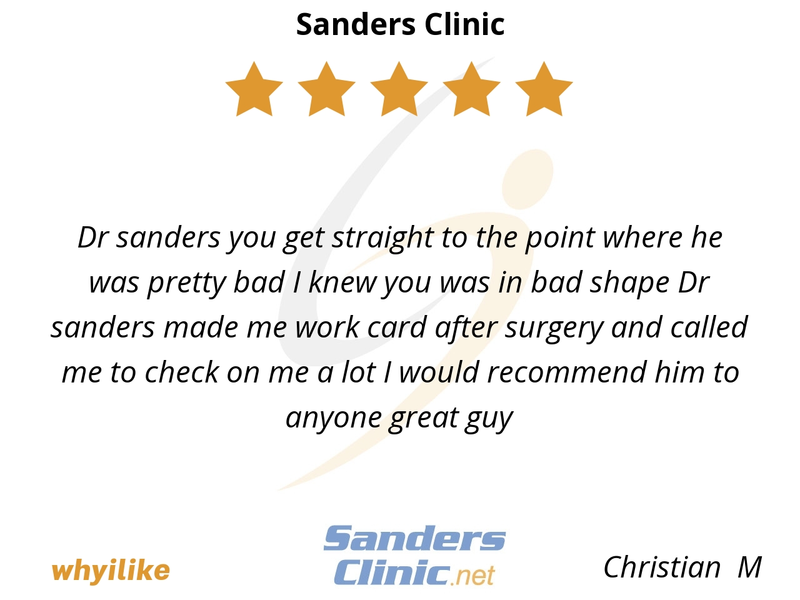 Dr. Sanders and his staff are excellent and I'd highly recommend them to anyone. Looking forward to surgery. 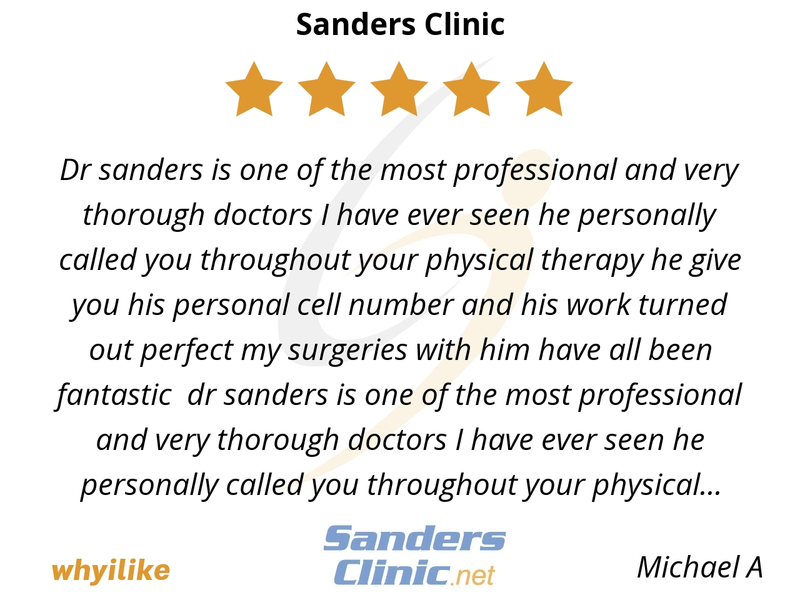 Doctor Sanders and staff are great. Very professional. I definitely recommend. Friendly office staff and, honest opinions from Dr. Sanders all resulted in a successful outcome for me. 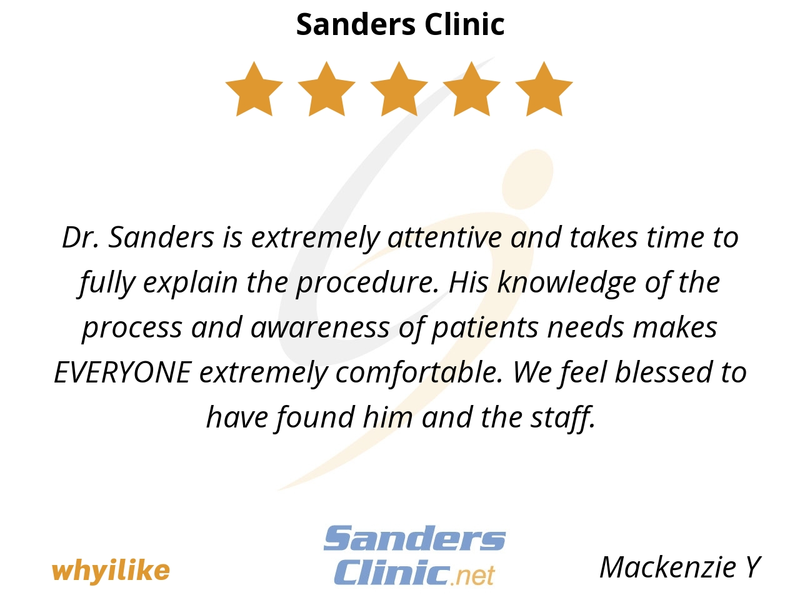 Dr. Sanders is extremely attentive and takes time to fully explain the procedure. His knowledge of the process and awareness of patients needs makes EVERYONE extremely comfortable. We feel blessed to have found him and the staff. Helped me when no one else would help. Fast, professional staff, best possible experience. 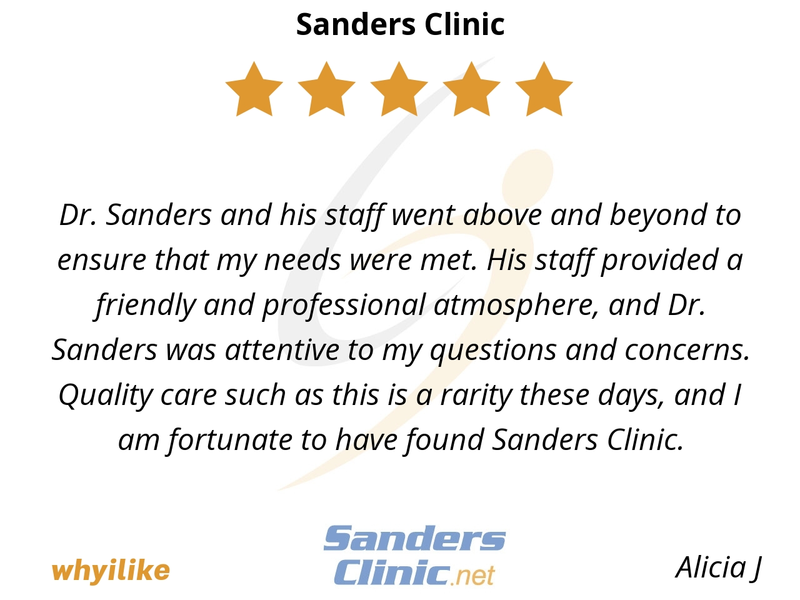 Dr. Sanders and his staff went above and beyond to ensure that my needs were met. 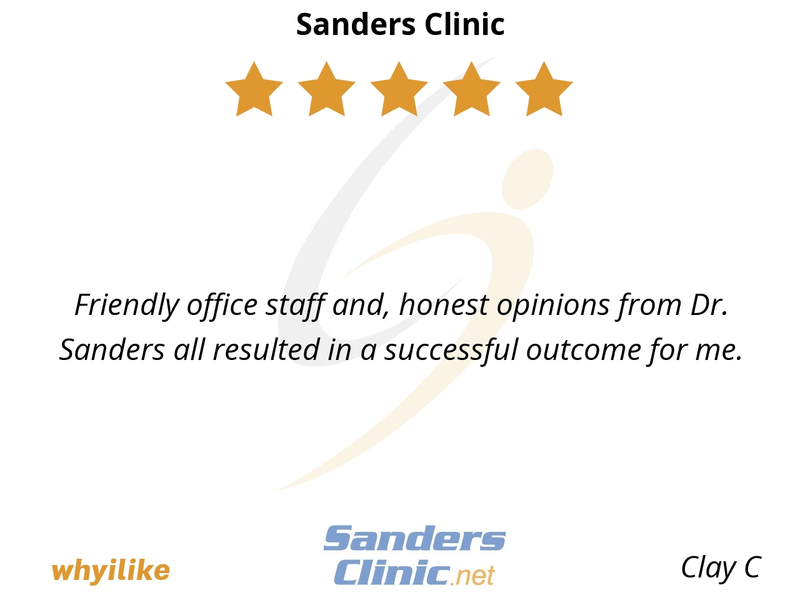 His staff provided a friendly and professional atmosphere, and Dr. Sanders was attentive to my questions and concerns. Quality care such as this is a rarity these days, and I am fortunate to have found Sanders Clinic.